Confusion on Jr NTR’s 25th Film? Nithin under Bandla Ganesh’s Production? Temper Movie 50 Days Posters! Unseen and Deleted Scenes from Temper Movie! 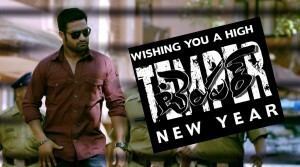 Jr NTR’s Temper Re Releasing in 15 Theaters! Why Narayanamurthy turns down Temper Offer? Jr NTR’s Parents Reaction After Watching Temper! A Telugu action film starring Kajal Aggarwal and N.T.R Junior was directed by Puri Jagannadh and written by Vakkantham Vamsi. The film was produced by Bandla Ganesh. Anup Rubens and Mani Sharma collaboratively produced the music for the film.